IMPRESIVE TORNADO ON SOLAR SURFACE - SolarChat! 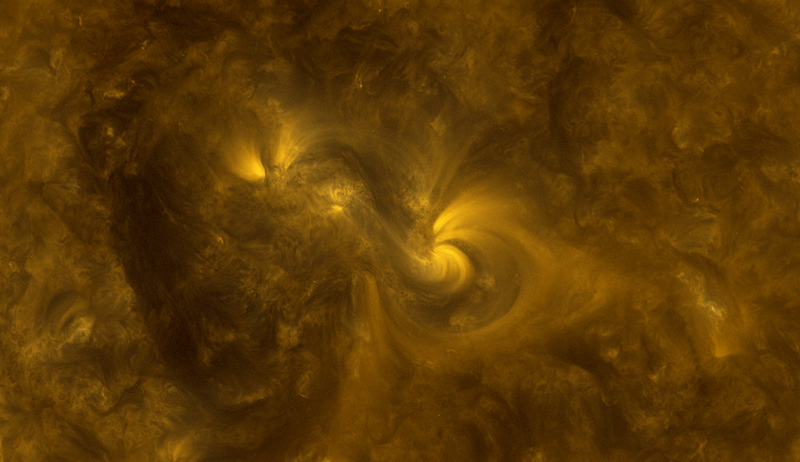 Fantastic phenomeno from the SDO corona of the sun. A great tornado twisted very fast and load impresive electric currents. Thank you guys. Observations starting again with my three coronados. Hope only i have good conditions. I admire all your sun images guys. You have better tools than me but i`ll try to give you good images with my poor extra equipment. I have poor equipment but to much love for the sun. Thanks Theo good to see you still viewing.